Zeb Bell is the owner and manager of Chute 2 Promotions Company as well as the owner and operator of a small horse and cattle ranch. He is in the process of writing a book of short stories about his life entitled "Horses Took Me for a Ride." 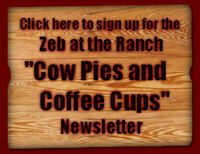 Known for his popular "Zeb at the Ranch" radio talk show, Zeb has done many voiceovers for radio, movies and other video work. 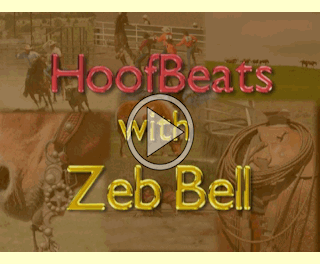 He has been the host of the Twin Falls television show "Hoofbeats" and other productions. Whether you need a 30 second spot or an onsite interview, Zeb’s familiar voice is perfect for your production. Zeb is well known nationally as a Rodeo and Special Events Announcer. You can often find him announcing at the Professional Rodeo Cowboys Association rodeos or special events, such as the World Champion Quarter Horse Show in Oklahoma City or the American Paint Horse Association World Show in Ft. Worth, Texas. Service Organizations, Businesses, Youth Groups, etc., find Zeb to be the ideal person to share his life story in overcoming severe handicap problems. Zeb is a licensed realtor in Idaho and is currently part of the fine staff at Canyonside Realty. His unique perspective on the cowboy lifestyle is a great asset when you’re looking for that perfect home or piece of land in our rural Southern Idaho community.